Rochester, NY – September, 2018 – TLF Graphics in Rochester, NY is a label printing company committed to producing high quality print products, under demanding timelines. TLF Graphics offers advanced printing solutions to solve most complicated challenges. TLF Graphics will be using the Durst Workflow software to drive both of their Tau 330’s. Durst will be showcasing the latest developments in UV inkjet technology, web-to-print solutions and more at the upcoming Labelexpo 2018 show in Chicago, September 25-27th, Hall F, Booth # 5901. 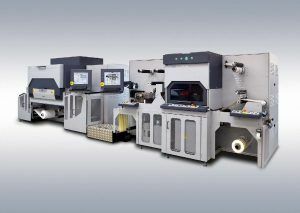 Moreover, OMET, will be showcasing an inline hybrid solution featuring the X6 technology, and powered by the Durst Tau 330 RSC. Additionally, our focus will be on the power & functionality of the Durst Workflow software, which helps simplify issues with customer files without having to go back to pre-press or Illustrator to make necessary changes. The Tau 330 RSC is a digital UV inkjet labels and packaging Press with a print width of 13” and a printing speed of up to 255.10 feet per minute. This corresponds to a production capacity of 15,984 sqft per hour at a print resolution of 1,200 x 1,200 dpi. 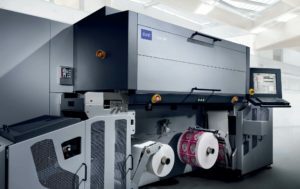 Equipped with optional 8 colors (CMYK + W + OVG) for the newly developed, highly pigmented Durst Tau inks, the printer produces outstanding near-flexo print quality and achieves up to 95% simulation of the Pantone color space. 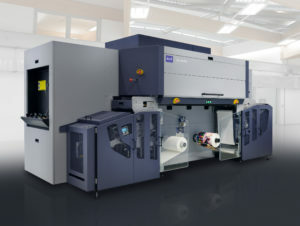 In accordance with the Durst Tau motto “Configure Your Digital Future“, the Tau 330 RSC works as a stand-alone printer or as a hybrid solution with the addition of conventional finishing options in the OMET XFlex-X6 series. This gives the user unlimited flexibility and reduced production cost in terms of materials and a broad range of applications. Durst Phototechnik AG is a leading manufacturer of professional digital imaging systems. The company operates manufacturing facilities in Brixen, Italy, and Lienz, Austria, and has major offices in the U.S., France, United Kingdom, Germany, Spain, Mexico, Brazil and Singapore. The Durst reputation for quality, precision, innovation and reliability spans more than 80 years. 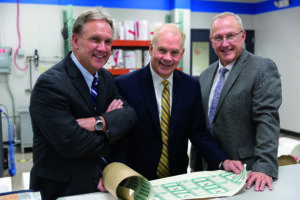 Durst and OMET have formed a strategic partnership in North America for exclusive sales and service of the Durst Tau Series, effective with Label Expo Americas 2018, where the new Tau 330 RSC will be showcased as a stand-alone label press as well as in-line with the new OMET XJet – powered by Durst – digital-flexo hybrid press.